Visiting Boston? Consider basing yourself across the river at one of the Cambridge hotels below. 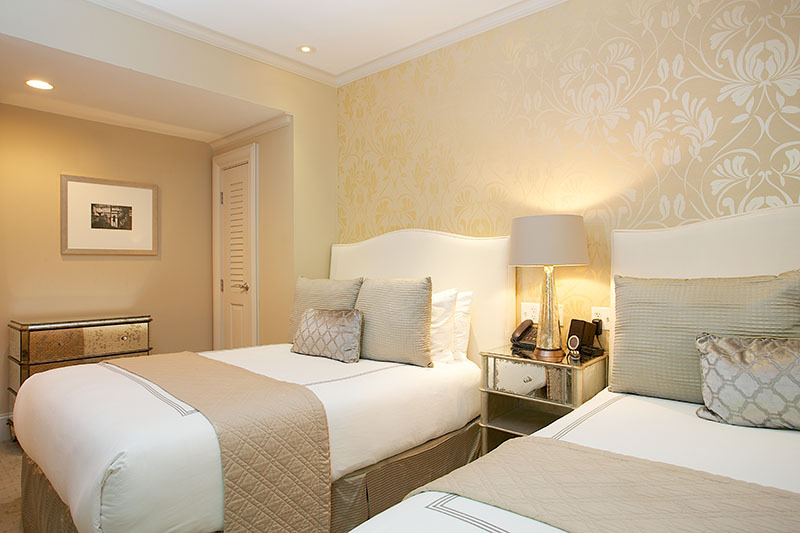 The Harvard Square Hotel is a stylish boutique hotel in Cambridge located just steps from Harvard University. An ideal respite for both business and leisure travelers needing easy access to downtown Boston, the city is just a 10 minute commute away. All rooms are equipped with contemporary decor and modern amenities, including pillow top mattresses, a walk-in shower, a work desk, and a flat screen TV. Rooms are available with either a king bed, full bed, or two double beds. Caffeine addicts can rest easy knowing that there’s a Starbucks in the hotel lobby and several cafes just across the street in Harvard Square. The Hotel Marlowe is a well-respected Kimpton hotel, rated as a top Cambridge hotel on TripAdvisor and one of the Top 25 hotels in New England according to Conde Nast Traveler. This hotel boasts a top-notch view of the Boston skyline from right on the Charles River and is within walking distance of the city. All guestrooms include pillow-top mattresses, a work desk with an ergonomic chair, and armoire with a private bar and mini-refrigerator. 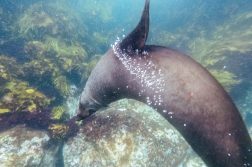 Guests can opt to relax by slipping on one of the hotel’s signature animal print bathrobes and indulging in an in-room massage or body treatment, or by taking part in a wine hour hosted in the hotel lobby. Hotel Veritas enjoys an exceptionally convenient location just two minutes from Harvard University and within a mile of the Peabody Museum of Archaeology and the American Repertory Theater. 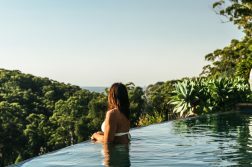 This 31-room boutique hotel prides itself on its personalized service and being a “home away from home” for returning guests. Amenities like complimentary juices and sodas, marble showers, and premium bath amenities ensure comfort for all who stay at the Hotel Veritas. 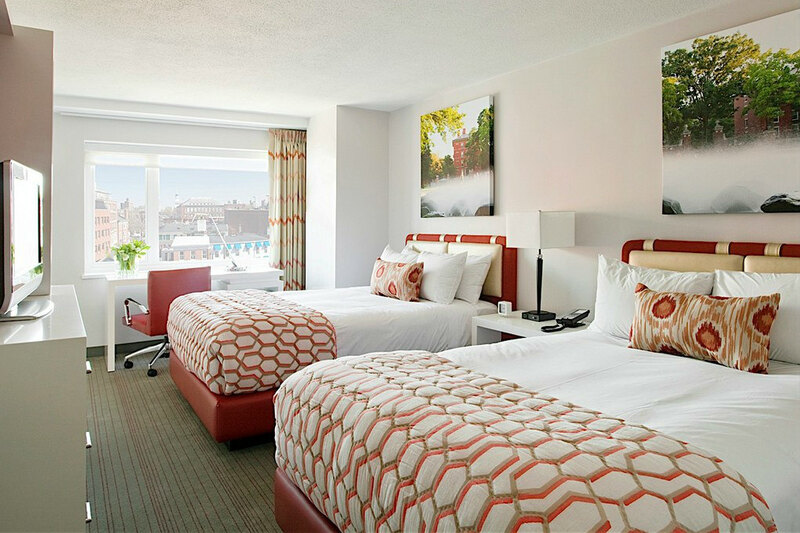 The Royal Sonesta Boston is a modern, stylish, and newly renovated hotel in Cambridge. Their contemporary art collection is on display throughout all public spaces in the hotel. On-site facilities are especially excellent with the Studio cafe serving specialty roasted coffee, ArtBar restaurant with locally sourced ingredients and a patio with a view, and a pool overlooking the Charles River. Guests have the option of a view of either Cambridge or the Charles River from their room or suite. 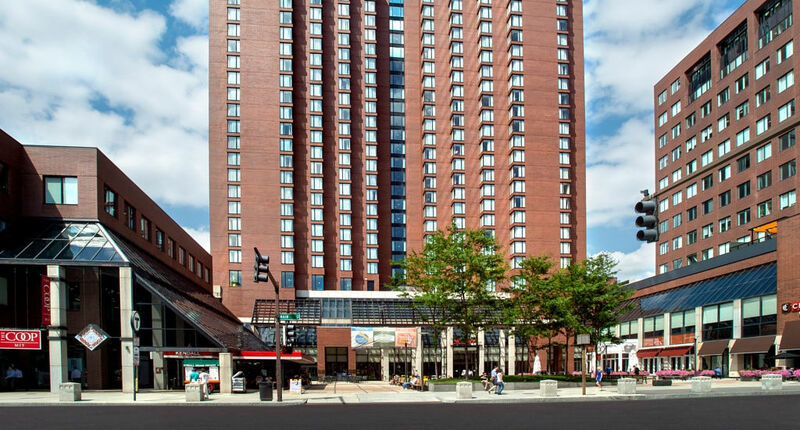 The Boston Marriott Cambridge enjoys a stellar location just minutes from Kendall Square and a whole host of shops and restaurants in central Cambridge. Rooms are spacious and include plush bedding, Wi-Fi (note: not complimentary), and large flat-screen TVs. A complimentary Continental breakfast is provided for guests who reserve a Concierge Level room. Suites offer more space, a separate living room with a large table and sofa, and a walk-in closet. All guests are also free to enjoy the on-site meeting rooms, indoor pool, fitness center, and the Starbucks that’s in the lobby.